In front of its balconies and indiano style terraces rises one of the most emblematic and distinctive beaches of the city, San Sebastián Beach. 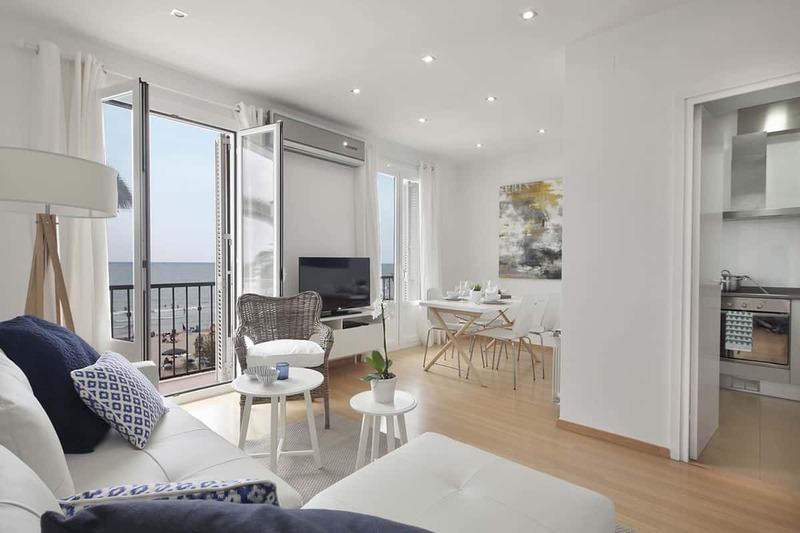 From these rental apartments in Sitges, you can enjoy the crescent-shaped sandstone shore with its views and sunsets, making it the perfect attraction. With the city centre and historical district just two minutes away on foot, our clients also appreciate the taste of the details and the comfort of its rooms. 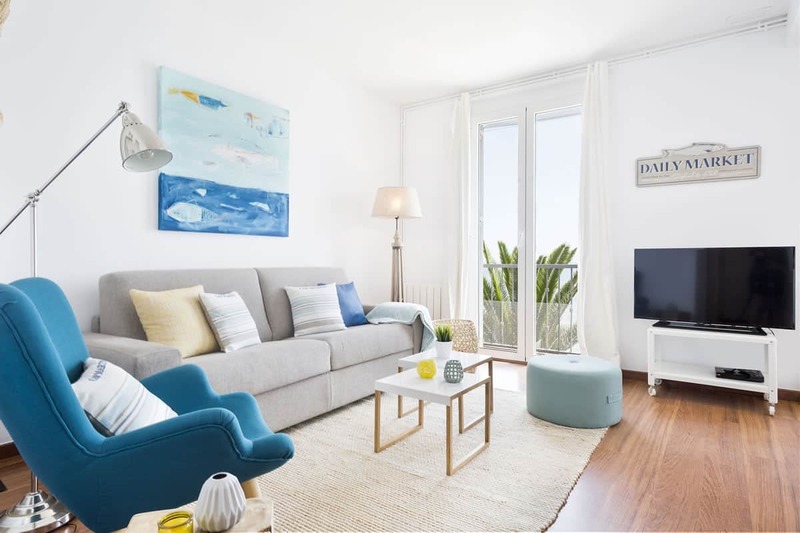 San Sebastián Front Beach apartments include the latest household appliances and all the comforts you need to rest, relax and enjoy Sitges. Right on the promenade, our Beach Dreams I apartment gives you front-row seats for the sunrise and direct access to the beach without even crossing the street. 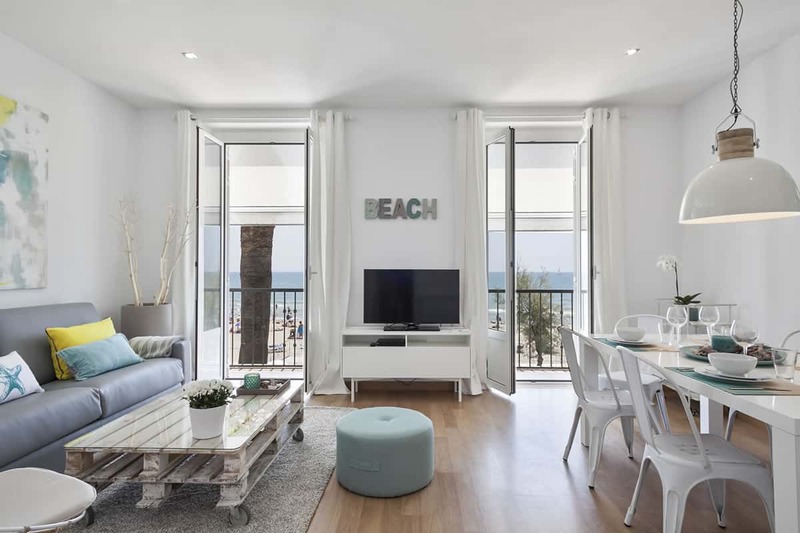 Right on the promenade, our Beach Dreams apartment gives you front-row seats for the sunrise and direct access to the beach without even crossing the street. Right on the promenade, our Beach Dreams Penthouse apartment gives you front-row seats for the sunrise and direct access to the beach without crossing the street.